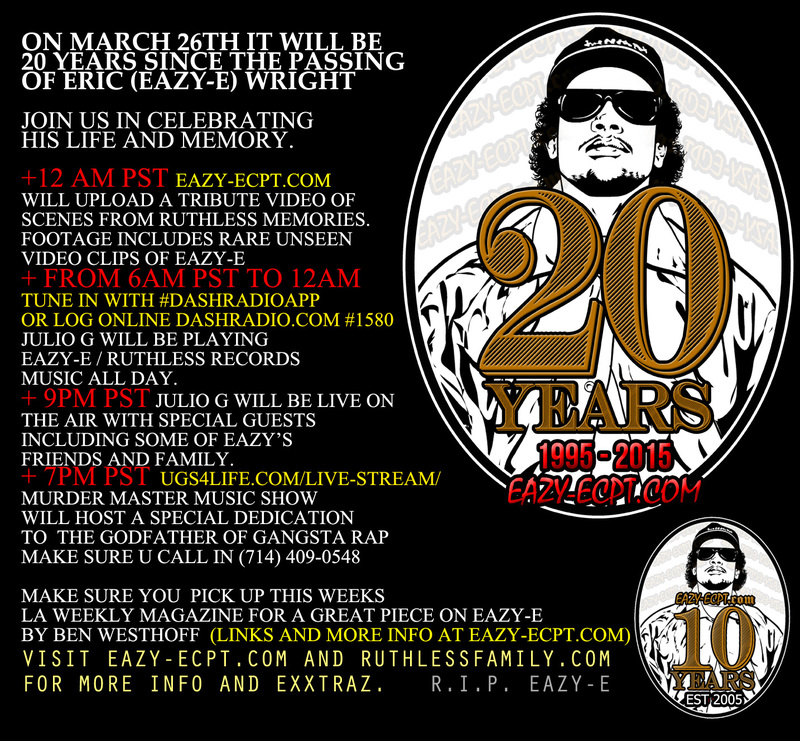 On March 26th it will be 20 years since the passing of Eric (Eazy-E) Wright Join us in Celebrating his life and memory. + from 6am PST to 12am Tune in with #DashRadioApp or Log Online dashradio.com #1580 Julio G will be playing eazy-e / ruthless records music all day. + 9pm PST Julio G will be live on the air with special guests including some of eazy’s friends and family. Join us in Celebrating his life.